The lawsuit seeks to overturn the section of a statute that imposes “draconinan” penalties on city officials who try to enact local gun control laws. Several of the council members will also join the suit as individuals. ST. PETERSBURG – City council members voted 6-2 this afternoon (April 19) to join a lawsuit that seeks to overturn a state law that imposes severe penalties on municipal officials who try to pass local gun rules. The lawsuit, Weston vs. Scott, was filed earlier this year by several south Florida cities – Weston, Miramar, Pompano Beach, Lauderhill, Miami Gardens, South Miami, Pinecrest, Cutler Bay, Miami Beach and Coral Gables. The suit seeks only to overturn the section of a 2011 state law that imposes penalties should local officials or municipalities try to enact local rules regulating firearms. Under the punitive aspect of Florida’s firearms preemption law, if a city passes a gun violence prevention rule that is later found to be a violation of state law, the municipality can be forced to pay up to $100,000 in damages per lawsuit plus unlimited legal fees. The elected officials who voted to pass the rule could be fined up to $5,000 and removed from office. 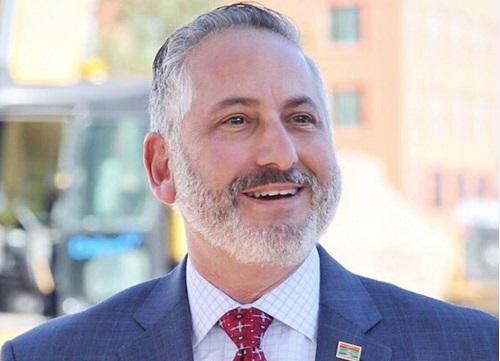 “It is an attack” on the penalties, St. Petersburg Mayor Rick Kriseman said. The lawsuit is not about gun control itself and is not an attack on preemption itself. Preemption is the right of the state to prevent local governments from passing rules that only apply within municipal boundaries. There’s always been preemption, Kriseman said, but in the past, if a city tried to pass a rule in a preempted area, the battle between the state and city was worked out in court. Cities and city officials were not held hostage to fines and the possibility of losing their jobs. If the move to create such penalties is not stopped, he said, then such penalties could be applied in areas other than gun control. Kriseman had the support of most of the council. Most of the council not only supported having the city itself join the suit, but indicated they, too, would join as individuals. Council member Charlie Gerdes, who was one of the two votes against having St. Petersburg join the suit, said he was going to sign on as an individual plaintiff. Gerdes said he believes in the suit, but does not see the need for the city itself to join in because it would receive the benefit anyway if they law is overturned. Ed Montanari, the other vote against St. Pete’s intervention in the lawsuit, did not comment. The Weston case is not the only such lawsuit that has been filed. A second suit that also challenges the punitive provisions of state law as an unconstitutional attempt to silence local officials and their communities, as well as an illegal barrier as those three cities try to prohibit the sale or transfer of most large-capacity magazines. It was filed earlier this month by filed by the Broward County cities of Coral Springs, Coconut Creek and Pembroke Pines against the state of Florida and Florida officials as part of their efforts to enact prohibitions on large-capacity magazines, alleging that Florida’s punitive firearms preemption law unconstitutionally and illegally threatens local legislators and municipalities with substantial penalties for enacting ordinances that may later be found to be preempted by Florida state law. The lawsuit seeks to overturn the section of a statute that imposes "draconinan" penalties on city officials who try to enact local gun control laws. Several of the council members will also join the suit as individuals.